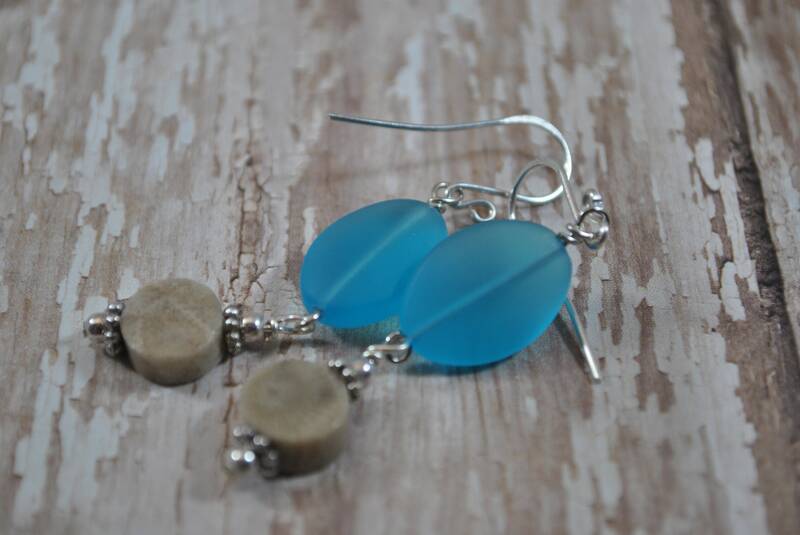 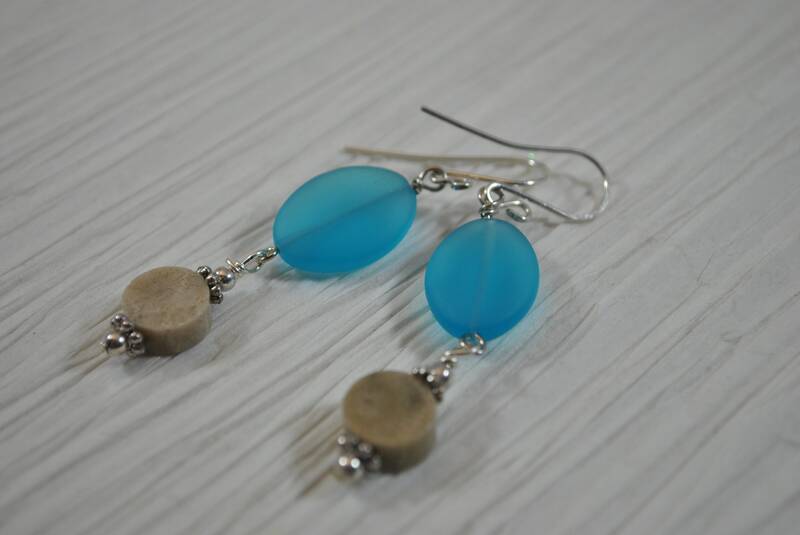 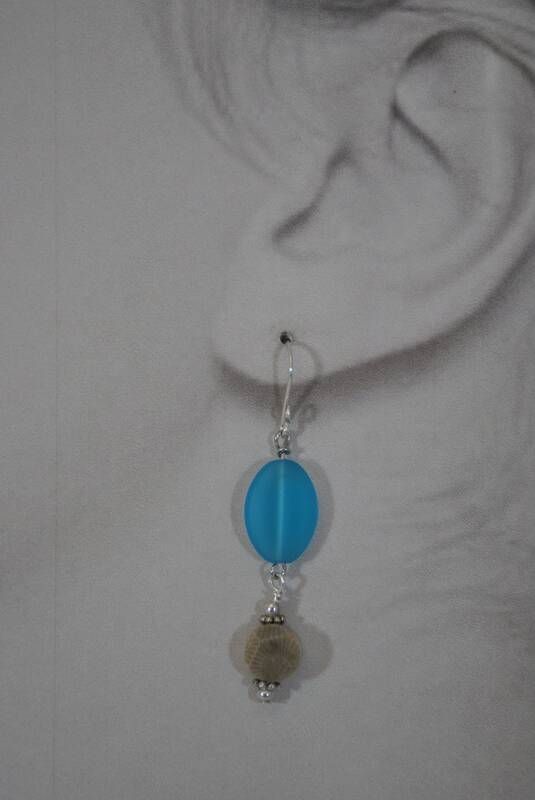 Genuine Lake Michigan Petoskey stone beads accent aqua blue recycled glass oval beads in these adorable earrings. 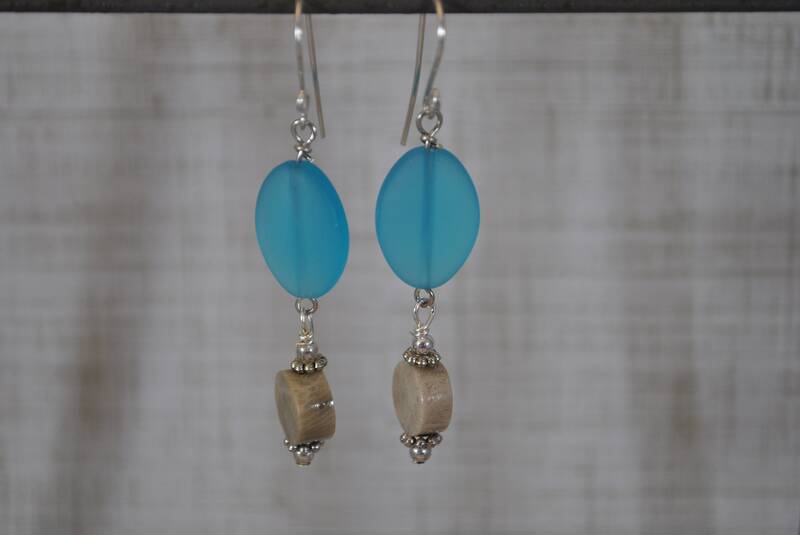 Sterling silver beads help make these sparkle. 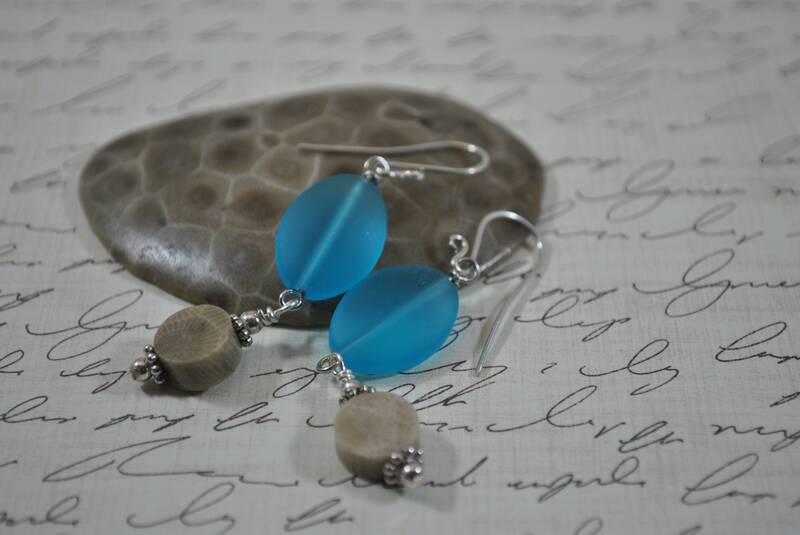 Just like a walk on a Northern Michigan beach!